This AMICAL 2015 workshop was on what CATs (Classroom Assessment Techniques) are and what they assess. Five exercises helped participants in getting better insight about how a particular CAT is used in the classroom. 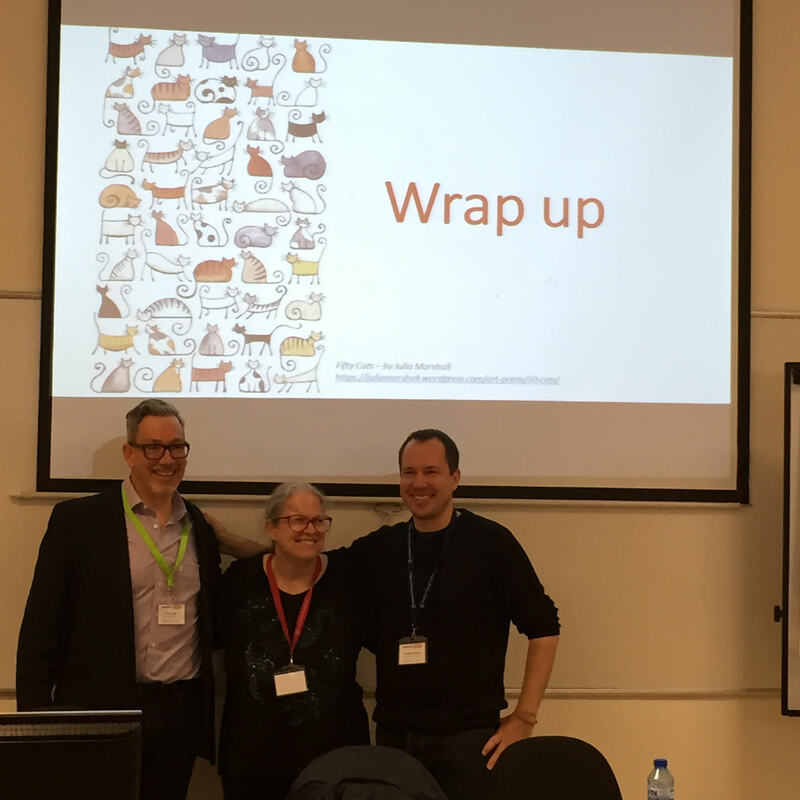 Examples and experiences were aimed at faculty, Information Literacy librarians and Instructional Technology specialists. Not many participants knew about CATs, 5-6 out of 21 (coming from 13 universities). In a highly interactive atmosphere, all participants got a chance to hear and learn more, getting really inspired by the facilitators’ input. The steps for CATs introduced planning, implementation and feedback as crucial parts of the process, with none to be missed. I will highlight notes on implementation, where communication was mentioned as the essential element. Students should be informed that this is not a test, not a graded assignment; it’s a quick and easy way to check if the direction of the lecture is appropriate for the desired learning outcomes, and whether it needs to be revised. (Note: CATs can also be part of the pre-lecture phase; the workshop focused on the in-class, or post-lecture CATs). Therefore, CATs should be used to help instructors to quickly “look into the head of the student” (Sosa, 2015) and correct the class pedagogy at the spot or via additional correspondence, if the reality check proves that students do not understand the content. Exercises both individual and group have helped participants in reflecting and getting insight into the idea and scope of CATs. Sally provided experience tips, encouraging the group with the note that first few CATs one does might not be as successful. In addition, all three facilitators shared the scope of CATs which should be used; stressing out that not too many CATs should be done in one course. While a single course might include doing muddiest point a few times, Word Journal should definitely be done once.